If you ever feel like your computer isn’t working with you and your work flow, remember that PC stands for personal computer. The computer, be it Mac- or Windows-based, can be customized in countless ways to make sure it works for you — and not the other way around. The same can be said for almost every software program. Online services are no different. If you check the settings, options or preferences for any program, you will find a wealth of choices you may control. 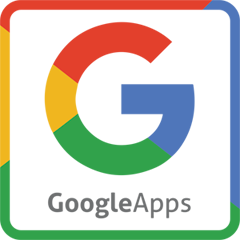 Google Apps is one of the most popular suites of online applications, including Gmail, Calendar, Drive and more. If you’ve read this column before, you know that I’m a huge fan of Google products and rely on them heavily for business and personal use. Google Apps gives you a vast array of choices to customize how you work. And, if the normal settings aren’t enough, you can turn to Google Labs for more help. Google Labs is full of experimental features you can add as you see fit. Labs can be enabled and controlled from the settings of any of your apps. A great example of Labs for email is called Canned Responses. If you’ve ever had to write similar emails to standard business questions, Canned Responses allows you to insert and manage these templated responses from within your Gmail account. You will end up with more consistent messaging and save time from the repetition of typing the same message over and over. There are more Labs tools today than ever before. Ever wish you had a chance to retrieve a message right after you click the send button? Use the Undo Send Lab and give yourself a short window to recall that last message. Some people like to use keyboard shortcuts as much as possible. With Google Labs, you can create your own custom shortcuts and find new, creative ways to save yourself time. If you’re consistently switching between Gmail and Calendar, you can add a Lab for the Google Calendar widget to keep a small box of upcoming events, locations and details in your Gmail. There have been many Lab features that are now a permanent part of the Google Apps environment, which is a testament to Google’s commitment to creating the best user experience possible within their products. Remember, Google Labs is a huge experiment. It’s one that I enjoy being a part of and keep fine-tuning to make work best for me. Do you have a Google Lab you’ve used and want to share? Send me a message and let me know more about your favorites.